The First Amendment guarantees the right of speakers to determine what to say and how to say it. Yet the proposal would force programmers to allow third-party set-top box, Internet application, and web service providers not only to convey their programming, but also to alter the content and the way it is presented. The Fifth Amendment prohibits the government from taking property without just compensation. Yet the proposal would force programmers to allow third-party set-top box, Internet application, and web service providers to use and manipulate their content for no compensation. 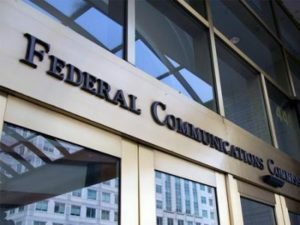 These are among the reasons the overwhelming majority of the creative community has expressed reservations about the proposal, and among the reasons more than 150 Republicans and Democrats from the House and Senate have sent letters of concern to the FCC. Not everyone in the creative community has such reservations, however. The Writers Guild of America, West (WGAW), which in the past has generally sided with the MPAA on matters related to copyright and free speech, filed separate comments this time that were strongly supportive of the FCC’s proposal. In particular, the writers argued that increasingly consumers’ access to legal content is good for business, and that technologies that create more choices for consumers should be encouraged, not resisted. WGAW and its members do not take concerns regarding piracy lightly. WGAW has consistently advocated for reasoned measures to protect copyright and address infringement. But WGAW members are also strong proponents of market competition, because it leads to more and better choices for consumers and more and better opportunities for writers. WGAW’s position seeks to strike a balance between these objectives, and led to our support for strong Net Neutrality rules and, ultimately, the need to reclassify broadband Internet access services under Title II of the Communications Act. In our advocacy, we were clear that Net Neutrality rules could protect Internet openness without jeopardizing content, as the rules applied only to lawful content, and outlined ways to address piracy that would not harm a free and open Internet. We believe the developments resulting from the open Internet, primarily the growth of a robust online video market, demonstrate the success of a balanced approach. The online video market generates significant revenues for media companies and residuals for writers through the licensing of television series and feature films and is projected to see upwards of 100 professional scripted series released for initial distribution on subscription online video distribution (“OVD”) services in 2016. We believe a similar balance can be achieved in the Commission’s proposed rules. Reasonable concerns can be addressed. Content can be protected while competition is promoted. As is often the case in public policy debates, where you stand depends on where you sit. And the difference in perspectives between the studios and the writers reflects in part differences in how each group has been affected by the rise of video streaming and digital platforms. For the studios and their primary licensees at the networks, digital platforms have been a mixed blessing. They’ve created new revenue streams, by enabling new content buyers like Netflix, Hulu and Amazon to enter the market, and new strategic opportunities like direct-to-consumer streaming. But the rising popularity of digital platforms also threatens a loss of control — over the audience and over the content they’re consuming. Having awoken — some would say belatedly — to the potential dangers to that loss of control, both the studios and the networks are looking for ways to put the digital genie back in the bottle. At the recent TV upfront presentations for advertisers, for instance, in-season “stacking” of shows dominated the conversation. Rather than letting in-season episodes go to Netflix or Hulu, taking the audience with them, the networks are increasingly demanding rights to “stack” multiple episodes of a series on their own VOD platforms, or those of their MVPD affiliates, as part of their licensing negotiations with content owners. [B]efore an MVPD may transmit copyrighted content, it must obtain the necessary licenses from programmers. Those licenses are memorialized in license agreements that specify the manner in which MVPDs may transmit the programming, and include terms on matters such as compensation, content manipulation, program presentation, channel placement, advertising, and security. The MVPD may not transmit that programming in another way, or to another party for use in that party’s own commercial services, except as allowed by the license agreement. Under the proposal, however, the FCC would compel MVPDs to transmit to all third-party set-top box, Internet application, and web service providers all the content that copyright holders’ license to MVPDs, and allow those third parties to use and manipulate the content in ways not authorized by the license agreements—without the copyright holders’ permission and without compensating them. For both the studios and the networks (often one in the same conglomerate), increasing consumer choices for accessing their content is fine, so long as those choices remain under the control of the studios and networks. For the writers, however, the rise of digital platforms has mostly meant a boom in scripted TV production, not only among streaming services but among legacy linear networks that now most compete with Netflix, Hulu and Amazon, and with it a boom in demand for writers. As detailed recently in a terrific piece of reporting by Josef Adalian and Maria Elena Fernandez at Vulture.com, by some measures there has never been as good a time as now to be a writer in Hollywood. For those hiring writers, life has become “very complicated,” says Carlton Cuse, who compares the new world order to landing planes during a snowstorm. Across his shows, Cuse works with at least 20 writers — and figuring out how their availability best suits his needs while supporting their creative pursuits “is making it much harder to make shows,” Cuse says. That’s made many writers far more sanguine about the effects of innovation than are their employers. The disparate impact of digital platforms is not confined to the TV business, however. It’s increasingly apparent in a number of media industries. The devastation that hit the music industry with the first wave of digital technology was fairly indiscriminate. But as licensed streaming has taken hold as the dominant mode of music consumption, its impact has not been felt evenly. While the record labels still complain about Spotify and YouTube, they have benefited more than anyone else in the industry from the rise of streaming services. Musicians and songwriters, however, who once made most of their money from reasonably well-tracked record sales, now must make do with much lower performance royalties negotiated on their behalf without their input by their lables or set rate courts. While many musicians point to Spotify and YouTube as the villains of the piece, some are beginning to conclude that their own interests are not well aligned with those of their labels or the collective licensing organizations and royalty societies that are supposed to represent their interests. That suspicion is part of what’s behind the growing interest within the music community in technologies like blockchain and Bitcoin that proponents say hold the promise of bringing unprecedented levels of transparency to the collection, accounting and payment of royalties. For more on blockchain and the arts, follow RightsTech and the RightsTech Summit, a joint venture between Concurrent Media and Digital Media Wire.